But it takes more than money to buy it: Try walking into an Hermes (pronounced “air-mez”) shop and asking for one. You’re likely to be told, with beaucoup attitude, that there are none in stock and the waiting list(!) is closed. 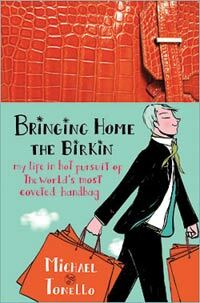 At least that was the scenario until Michael Tonello, author of Bringing Home the Birkin, broke the Birkin code. First a little background. The Hermes retail empire started as a small store in Paris in 1873. The store supplied custom-made leather goods to the carriage trade-harnesses, saddles, and other equestrian equipment. Hermes leather goods were known for their durability; the secret was the signature “saddle stitch,” which rarely came undone (and when it did, Hermes artisans would promptly repair it as they do today). This attention to quality was so renowned that royal coronations were delayed until the Hermes carriage fittings were completed and delivered. Hermes is now one of the most successful retail brands in the world. It is also one of the last luxury goods companies remaining in private hands; virtually all others are owned by large corporations. For many years, Hermes patrons were part of an exclusive club of ultra-wealthy sophisticates who were the only ones to recognize the subtle status Hermes products conferred. This is because the Hermes logo-a groom standing next to a horse and carriage-is not plainly visible on any Hermes leather goods. But, eventually, Hermes handbags became famous, as most things do, when owned by well-known celebrities. The first was Princess Grace of Monaco (the former actress Grace Kelly), who used an Hermes handbag to disguise her pregnancy from the paparazzi. Now known as the “Kelly” bag, it is still made by Hermes and has a loyal following. The Birkin bag is coveted by a younger audience, whose mothers-had they the means-would have carried Kelly bags. Larger than the Kelly, the Birkin is a scaled-down version of a bag Hermes originally created to hold horse saddles. 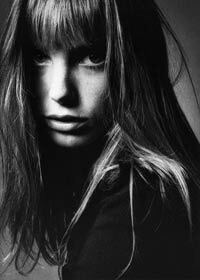 The average size Birkin takes approximately 15 hours to make; larger ones require 25 to 30 hours. Like other Hermes bags, the Birkin is made almost entirely by hand in Hermes ateliers by artisans who must apprentice for at least two years with Hermes’s senior leather craftsmen to qualify for their jobs. The current mania for Birkin bags is hard to describe, as it borders on pathological. In fact, there are numerous blogs devoted exclusively to acquiring and owning Birkins. Birkin bloggers spend untold hours sharing celebrity Birkin sightings (Posh Spice photos abound) and arranging international trips to Hermes boutiques. This is where author Tonello comes in. Bringing Home the Birkin relates how he discovers the rabid nature of Birkin collectors after selling his own belongings on eBay as a means to make money to remain in his adopted city of Barcelona. Running low on cash, and with no prospects for local employment, he decided to sell the one Hermes item he owns-a cashmere scarf-on eBay. A bidding war broke out for the scarf, and Tonello pocketed a tidy profit. After that, he began receiving daily email “wish lists” for Hermes items from potential customers, including many fervent pleas for the elusive Birkin bag. At the time, Michael Tonello was no stranger to the luxury market. However, he was unfamiliar with the rumored Hermes sales technique, which excludes buyers not just by economics, but by refusing to sell certain items, most notably Birkin bags, to customers who simply wander into Hermes stores off the street. Undeterred by what some would consider a bizarre retail custom, Tonello became an Hermes expert and world traveler as he climbed to the top of every Birkin waiting list in countless Hermes stores using his own secret buying technique. Tonello goes into an Hermes store dressed to the nines and finds a certain type of sales person (he has developed several “types” of Hermes salespeople and describes them in the book-replete with cartoon-like drawings of each type) and begins picking out small items (scarves, silver bracelets, etc.) to buy. Once he has accumulated a pile of about $1,000 in merchandise, he asks the salesperson whether the store has any Birkins for sale, and inevitably the salesperson will dig one up for him to purchase. In all, Tonello ends up buying more than $1.6 million in Birkins and other Hermes items and re-selling them to his eBay clients. Along the way, he discovers true love, loses his mother to cancer, and comes face-to-face with the superficial nature of conspicuous consumption. I met Michael Tonello for lunch recently in Beverly Hills, and it is easy to see that he would fit comfortably in the most rarified social milieu. Trim and handsome, he dresses impeccably in a beautifully tailored blazer and a crisp shirt, with the added touch of a silk pocket square (undoubtedly from Hermes). But he is anything but a snob. In fact, he still retains concern for several of his Birkin clients who loaded debt on several credit cards to purchase a single Birkin bag from him. “That’s the sign of a person who shouldn’t be buying a Birkin,” he said, shaking his head. Given the fact that it reads like a memoir crossed with an expensive travel guide, it is hardly surprising that Bringing Home the Birkin has been optioned for a movie. When asked which actor he’d choose to portray him, Tonello shrugged. “They’d probably want to show me in my twenties, so maybe someone like Matt Damon. And then Diane Keaton could play my mother,” he added with a conspiratorial smile. After that, he’ll be out of the Birkin business and on to a career writing children’s books about the adventures of his two cats. No word yet on whether they will carry (or be carried in) Birkin bags.